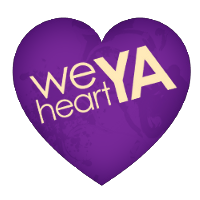 We Heart YA: What's Your Indie? We’ve all got one. You know, that special independent bookstore tucked into the corner of town where you browse around, get lost in the nooks and crannies and pages, and blissfully block out the real world. Or maybe it’s the place where you meet local authors and have enlightening discourse over a cuppa joe. Or perhaps you curl up there after school in a big overstuffed chair intending to finish your trig homework—only to find yourself marvelously distracted by all the shiny book spines surrounding you. 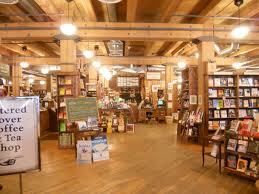 Here in the Rocky Mountain region, my bookstore of choice is the Tattered Cover. I discovered this gem several years ago and fell in love with its creaky floors, towering shelves, and endless rows of books. 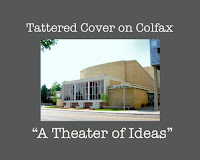 Back then, the Tattered Cover was a landmark establishment located in Denver's Cherry Creek North district. Now, there are three different Tattered Covers around town to choose from—one is even housed in an historic theater! It's a bit of a drive for me, but always worth it. Currently, there are about 2,000 bricks-and-mortar independent bookstores in the U.S., which is down from the 7,000 or so that existed in the 1990s. Due to market competition from the big chains and the rise of ebooks, many of them are struggling to survive. Now, I love all bookstores, but there is something special about indies. Let's make sure they stick around. 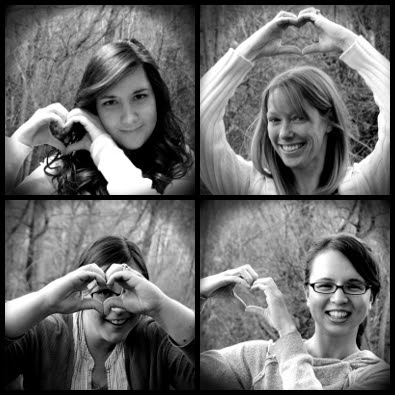 Spread the indie bookstore love and tell us about your favorites, big or small, far and wide! And if you leave a comment on this post, you'll be entered to win a copy of Holly Cupala's DON'T BREATHE A WORD (USA/Canada only; winner will be posted next week). 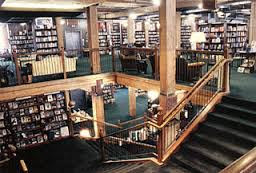 Aw, I miss the Tattered Cover so much! I'm a Colorado native now living in Massachusetts, and though there are tons of great indies out here, nothing beats Tattered Cover in my book! Joseph-Beth here in Cincy is pretty great too, though it has a more traditional feel. The Strand in NYC is fairly epic, and I'd really like to check out Powell's in Portland someday. A whole city block of books!! I really love Books of Wonder, though I also enjoyed Rizzoli a week or so ago when I stopped in (books in translation, hurrah!). And gosh is that store pretty. I somehow managed to restrain myself from getting lost in the Strand this weekend and instead walked by which took... epic dedication (to the pursuit of pomme frites). And Powell's - can we just pitch a tent and stay a week in there? Lol, I know- I sometimes daydream about being "accidentally" locked inside a bookstore all night! And I'd love to check out some of those NYC stores one day. They sound lovely. Kristan- Tattered Cover in a few days! My Indie died last year! I live in a small town and the only indie book store was driven out of business by the arrival of a Books-A-Million. I'm still not over it. Sure, the books were more expensive, but the ladies who worked there were fantastic. They knew every book they stocked and were great for recs. Tattered Cover sounds brilliant! My personal favourite indie bookstore here is a used book store. The space is chock FULL of books, the staff people are absolutely lovely, and it's generally quirky and comforting as a space. And the upstairs has a whole ton of records! Thanks for reminding me of how much I love local businesses, especially when they involve literature.